A boar bristle hairbrush has natural bristles that keep your hair shiny and free from damage. 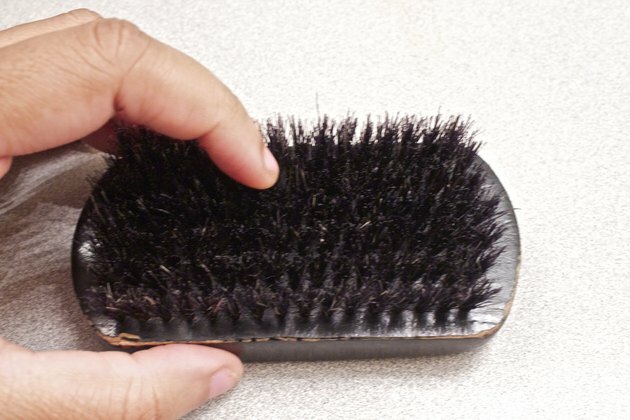 The bristles on this type of hairbrush tend to be packed tightly together, and their coarseness allows the brush to remove dust, dirt and other buildup in the hair. While these brushes effectively remove debris, with frequent use, your brush can get filled with hair or dirt. 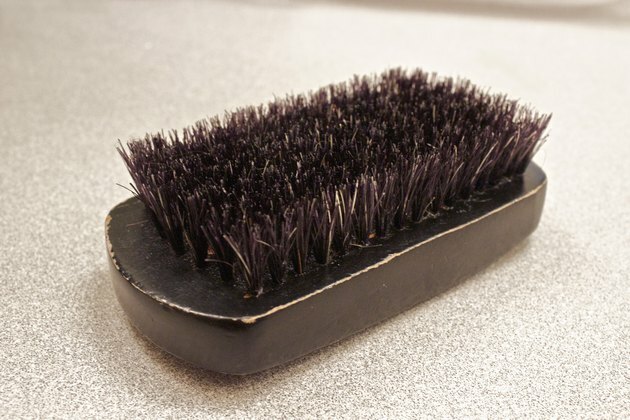 Clean your boar bristle hairbrush every week or two. 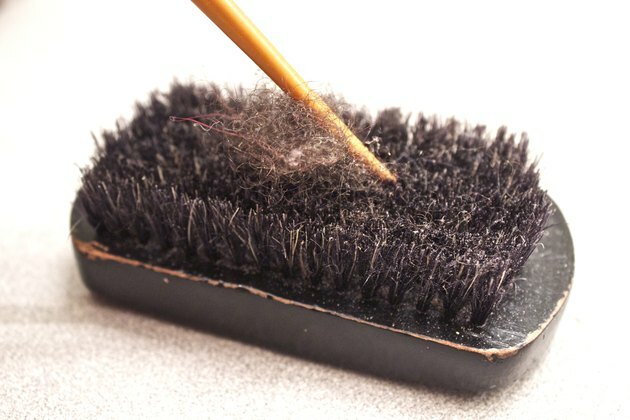 Remove the hair from your brush. You can remove it with your fingers, if possible. If it becomes difficult, use the end of a comb with a pointed handle or a letter opener to dislodge the hair. Place the pointed end against the base of the brush and wiggle the pointed end up to remove the hair. Fill a bowl or sink with warm water and add a few drops of shampoo to the water. 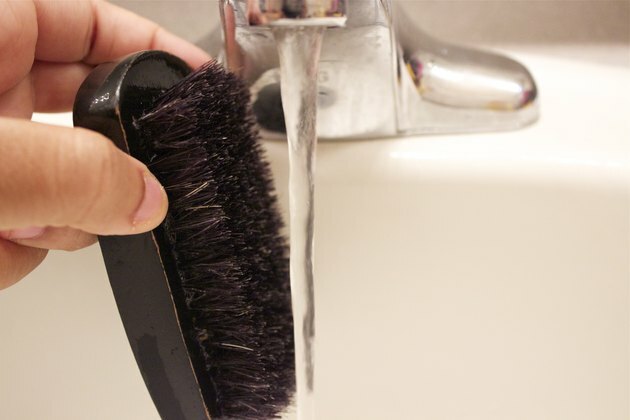 While gripping the handle of the brush, place it in the water and then swirl it around for several minutes. 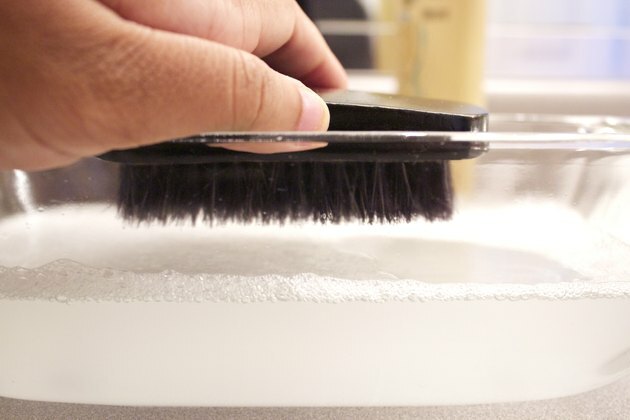 Don't soak the brush in the soapy water if it has a fabric pad or wooden handle, advises "Real Simple." Rinse the brush with lukewarm water or dip it in another bowl of clean water to remove all the extra soap as well as any dirt or debris that was loosened while you were washing the brush. Use your hand or a wide-tooth comb to go through your brush's bristles once again to make sure no dirt or hair remains on the brush. Tap or shake the brush to shake out any excess water. 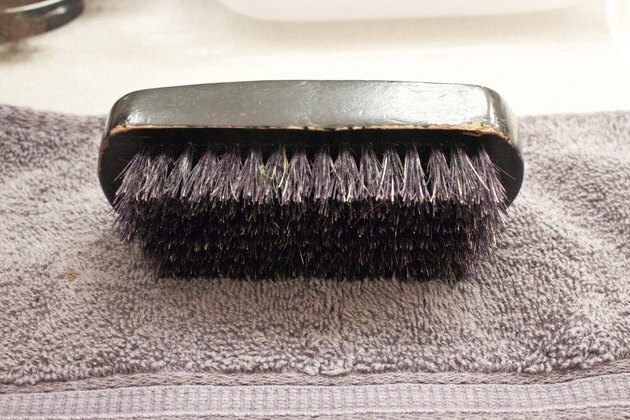 Place your brush face down on a towel to dry. Because the natural boar bristles tend to soak up water, this brush may take longer to dry than a synthetic bristle brush.